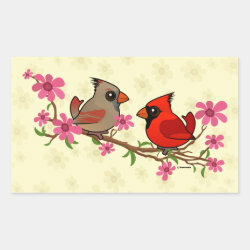 These Northern Cardinals are ready for spring! 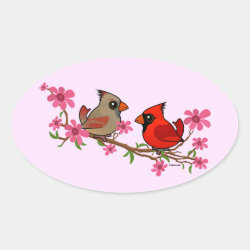 A male and female cardinal perch on a blossoming branch full of pink blooms and green leaves. 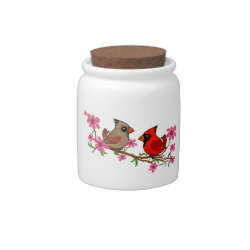 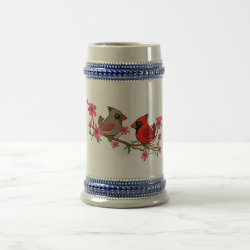 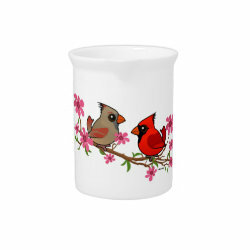 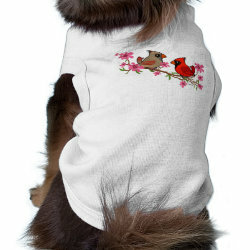 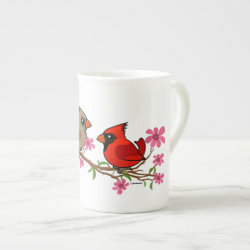 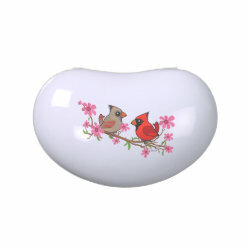 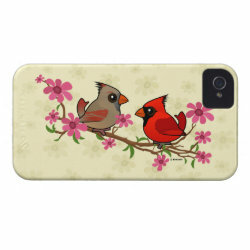 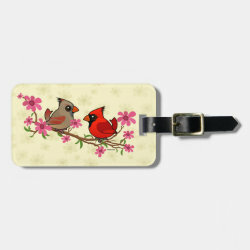 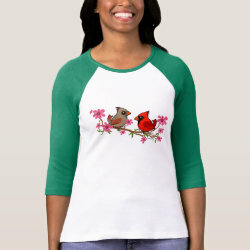 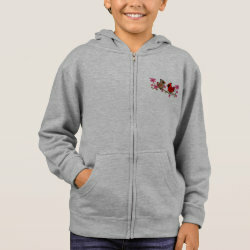 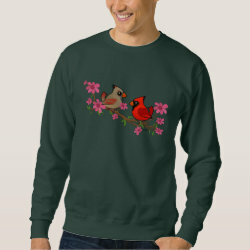 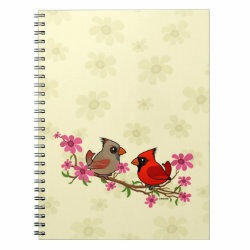 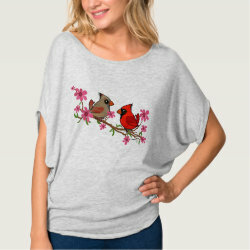 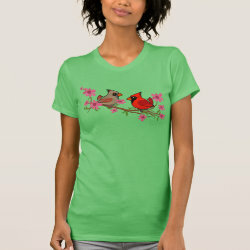 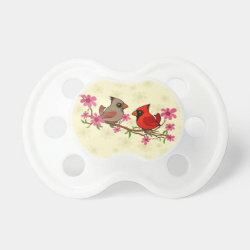 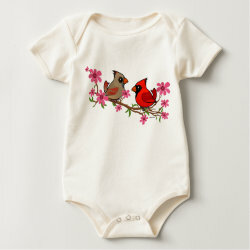 This original cute cartoon bird design makes a great gift idea for birdwatchers and bird lovers! 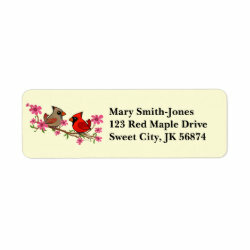 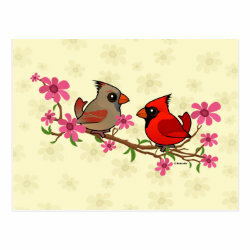 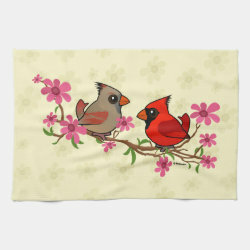 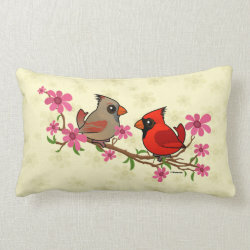 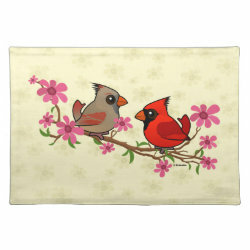 Northern Cardinals on Blossom Branch Placemat 20" x 14"
Northern Cardinals on Blossom Branch Fleece Blanket, 30"x40"
Northern Cardinals on Blossom Branch Throw Pillow Lumbar 13" x 21"
Northern Cardinals on Blossom Branch Kitchen Towel 16" x 24"